Tetrahydrocannabiniol, Cannabidiol, sugar, red tart cherries, sunflower oil, whole milk powder, cocoa butter, chocolate liquor, soy lecithin (an emulsifier), natural and artificial flavour, water, gum arabic, sucrose, corn syrup, hydroxylated soy lecithin, citric acid, potassium sorbate, sodium benzoate, artificial colour, confectioner’s glaze, modified vegetable fat, cocoa powder processed with alkali, cocoa powder, skim milk powder, whey powder (milk), lactose (milk), natural vanilla extract. May contain traces of peanuts and/or tree nuts. Purchase this product now and earn 13 Goldbucks! 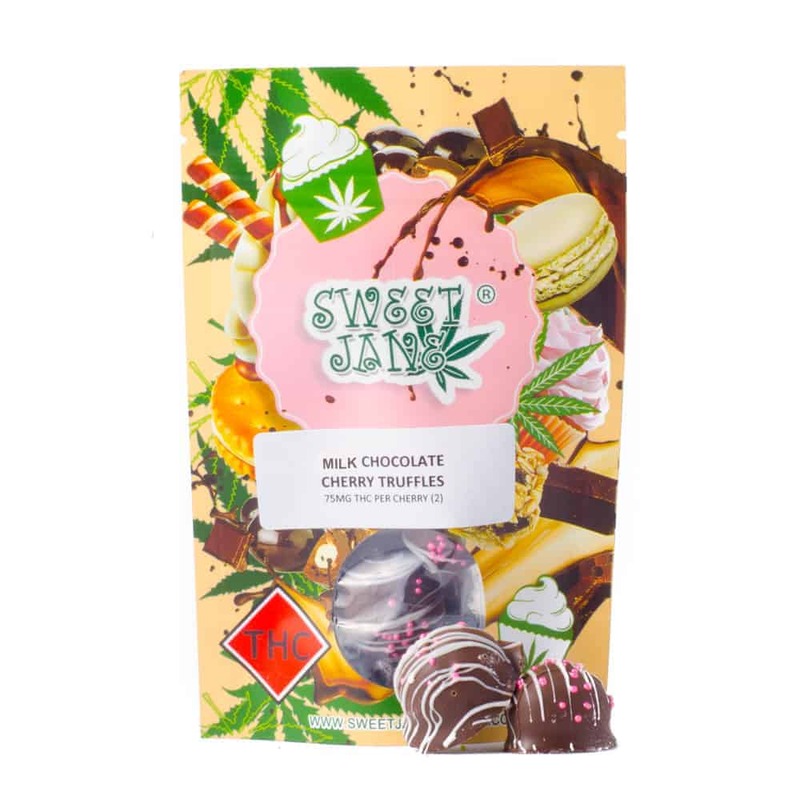 1 review for "Sweet Jane – Milk Chocolate Cherry Truffles"
as well which takes away from the “high”.